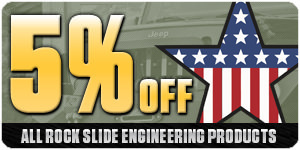 Rugged Ridge Year Long Rebate | Get Up To $200 Cash Back! Just buy on a single invoice, any Rugged Ridge, Omix-Ada, Alloy USA, Outland, ORV, or Precision Gear product, and get a cash rebate directly from Omix-Ada! The more you buy the bigger the rebate. Alloy USA Year Long Rebate | Get Up To $200 Cash Back! Omix-ADA Year Long Rebate | Get Up To $200 Cash Back! Periodic Super Savings on your favorite brands and products. 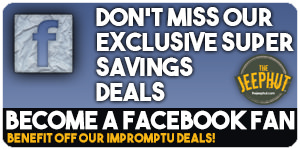 Become a fan of ours and never miss a big savings again! 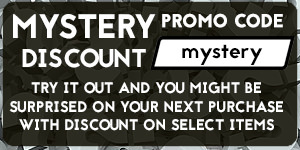 A Mystery Discount Promo that will provide you with unbeatable deals on popular products from the most popular brands. You can't lose! All you have to do is try the mystery code at checkout and you might be pleasantly surprised! 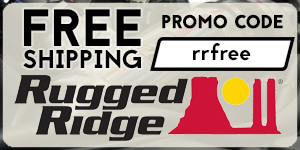 Receive FREE SHIPPING on any orders totaling over $100 of Rugged Ridge products by using the promo code "rrfree" at checkout. 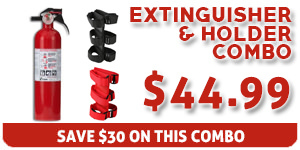 Save BIG on the essentials when you purchase this combo special. 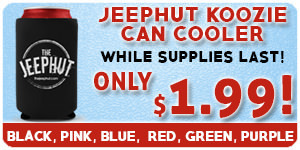 No more warm drinks or cold hands with the Jeephut Koozie. Great product for outdoor events including Jeep events because your beverage will always stay nice and cool in this premium can holder! 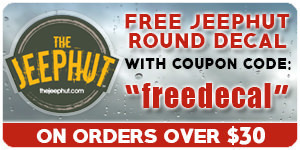 We are offering FREE JeepHut decals for the Holidays when you enter code "freedecal" (in notes section of checkout) on orders over $30! YOU CAN REQUEST THIS OFFER IN THE NOTES SECTION WHEN YOU CHECK OUT. 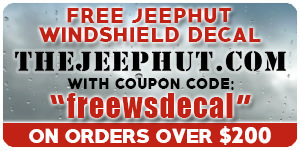 We are offering FREE JeepHut decals for the Holidays when you enter coupon code "freewsdecal" (in notes section of checkout) on orders over $200! 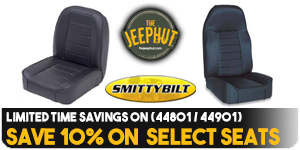 Get something different for that Jeep enthuisast in your life. Try our our unique JeepHut gift baskets. Get more for your money and alot of variety. 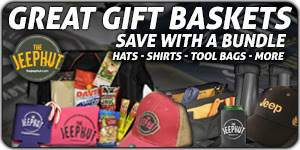 Our gift baskets and bags are cool and would be a great suprise for any Jeep owner.